Hello Brewmasters, Happy March! This month we are celebrating our top ten favorite chocolate beers to try in 2017 featuring some of your incredible chocolate brews. However, we would love to increase this list and therefore need your help! Please tell us the name of the beer you are currently, or are planning to brew with Cholaca in 2017. Don’t forget to follow our “Chocolate Beer Lover’s” Facebook Page so we can tag you for new releases, chocolate beer updates, and future chocolate brew events. Ten Chocolate Beers to Try in 2017! The saying goes, “the heart wants what it wants,” but in this case the heart wants what it actually needs! 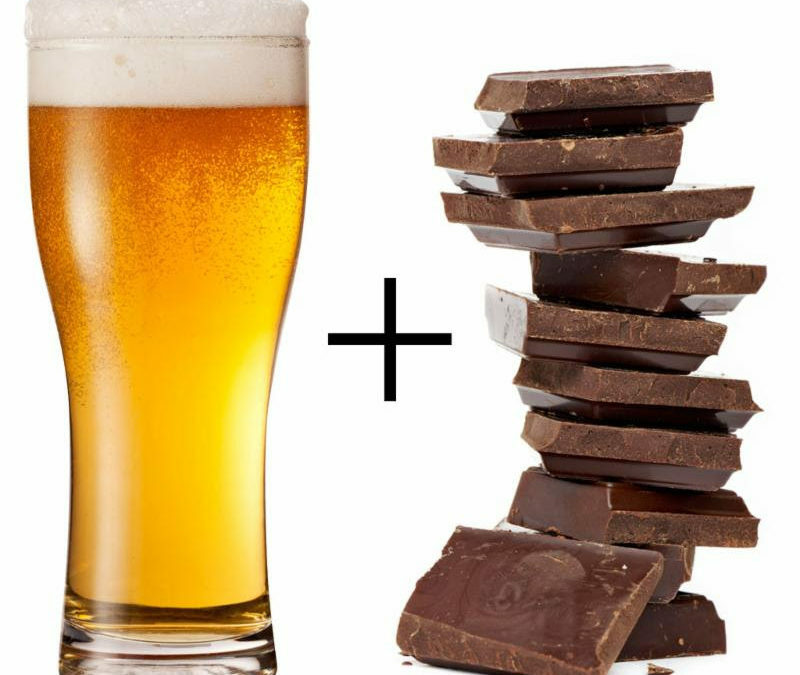 Research studies have been conducted world wide from Harvard University to the American Heart Association, proving that beer and chocolate help reduce the risk of heart disease! The consumption of both of these products has given evidence to an increase in HDL (good cholesterol) and a decrease in LDL (bad cholesterol). Not only do both of these products have benefits to your heart, but they are also packed full of antioxidants, minerals, and contain natural stimulants to make you feel happy. The active ingredient in chocolate that makes all of these health benefits happen is cacao and it’s one of the planet’s most nutrient-rich foods. Rich in antioxidants and flavonoids, cacao has more iron and magnesium than any other food. Boulder, Colorado based Cholaca was founded in 2012, by Ira Leibtag, with one dream in mind: to bring healthy, organic and regeneratively farmed pure liquid cacao to the world, while curating sustainable economic partnerships with farmers throughout Peru and Ecuador. Our delicious pure liquid cacao ingredient is now being added to the worlds best chocolate beers and brew masters are buzzing about how easy our pure liquid cacao is to use in the brew process as opposed to cacao nibs or powders. The clean up due to far less tank residue makes Cholaca’s pure liquid cacao a must use in your next chocolate beer batch! So, enjoy brewing or sipping with peace of mind knowing that every taste also helps to save a Rain forest. This is pure cacao beer perfection we think you will love! Whether you’re a brew master, chocoholic, a beer fanatic or a chocolate beer lover, do yourself a favor and run out to taste one of these top 10 new chocolate beers today. All of course are brewed lovingly with Cholaca! Intense pure liquid cacao flavors from Cholaca swirl with popping coconut aromas, all supported by a semi-sweet porter made from loads of our dark chocolate and extra dark caramel malt. This limited release specialty comes around once a year to satisfy that sweet tooth, so get ’em while you can before they disappear. At 6.5% ABV and 25 IBUs, this choconut goodness will have you yellin’ “Pass. Dash. Hit.” all winter long. A twist on an American style stout, Breckenridge Brewery uses Cholaca, pure liquid cacao, and organic orange zest to offer a new way to experience traditional holiday flavors. Roasted malts complement the chocolate and orange flavors. Mandarina Bavaria hops, a recently developed hop variety from Germany, impart subtle tangerine aromas, enhancing the citrus notes of the beer. Made with Cholaca pure liquid cacao to a 7% ABV stout to create an intense chocolate flavor. In addition to the liquid cacao we added vanilla and cinnamon and then rested the stout on 30lbs (10 lbs each of) Serrano, Pasilla, and Poblano peppers. The resulting stout has a moderate to slightly heavy mouthfeel. It has an intense chocolate flavor balanced by vanilla, spicy cinnamon, and a slight touch of heat and flavor from the pepper blend. The combination of flavors with the restrained sweetness and mouthfeel of this beer beautifully emulate the flavors of Mexican Chocolate cake captured conveniently in a delicious Chocolate stout. Oatmeal Stout aged in Bourbon Barrels, infused with Coffee & Cholaca, pure liquid cacao. Brewed with locally roasted Pablo’s Coffee, aged in bourbon barrels from Breckenridge Distillery. Part of their Barrel-Aged Series. Pairs well with hearty stews and deep powder skiing (hence it’s name)! Specially brewed in celebration of the old world tradition of Porters and European Winter Warmers. The addition of Cholaca, pure liquid cacao and honey to each barrel of this unique ale, enhances a winter season filled with warm friendships and good times. This winter gose starts with a punch of fresh raspberries followed by a subtle chocolatey finish from Cholaca’s pure liquid cacao. Reminiscent of biting into a raspberry torte with a bit of chocolatey frosting. (12 oz per gallon of raspberry!) Sour, garnet and drinkable, a perfect winter session beer. This stout has a black appearance with a tan ring of foam. Aroma of roasted grain, cholaca, coffee, light nutty malts and hints of licorice/molasses. Similar flavor, rich, malty and moderately sweet with mild bitterness. Medium to full body with a light nutty peanut butter finish. Absolutely delicious! This Blood Orange Chocolate Porter. It has a bright citrusy flavor followed by chocolate richness. This porter is not sweet, but you can definitely taste the chocolate. Brewed with blood oranges and unsweetened liquid cacao – from Boulder-based Cholaca. Don’t miss out on this wonderful taste! This beer is equipped with a nice coffee aroma and flavor. It’s dominant without being overpowering. Good malty backbone and no hoppiness. It’s infused with hints of chocolate from cholaca along with a slight spicy flavor of chilies. It’s almost black with a tan head. Includes rich, dark, burnt and malty flavors with mild bitterness. Medium body with a light dry finish. It’s the perfect beer for warming up in the winter!